We developed our darkest espresso for the launch of our first brick-and-mortar in our friend Loring’s garage in Hayes Valley. 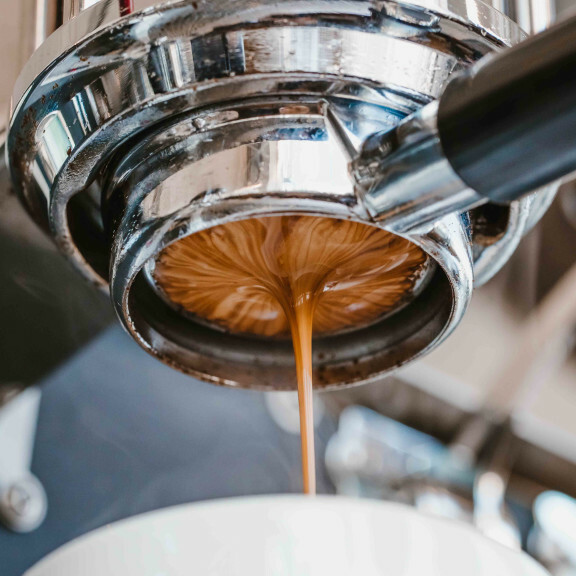 Years later, it remains the standard espresso in all of our cafes. Lower-toned and minimally bright, Hayes Valley Espresso pulls a straight shot with a voluptuous tawny crema and a somewhat dangerous-looking viscosity. Milk, in any quantity, adds romance to the coffee’s brooding aspects, bringing out the inherent chocolate and adding a smooth, rounded touch. In partnership with Los Angeles-based Valerie Confections, we’re offering delicate handmade Chocolate Truffles infused with Hayes Valley Espresso and topped with Fleur de Sel. Give a box of nine decadent truffles to someone special—or treat yourself.